Primos Hyper LIP Single with Tone Converter makes calling in elk easy. The open single-reed reproduces the high pitches of cows and calves. 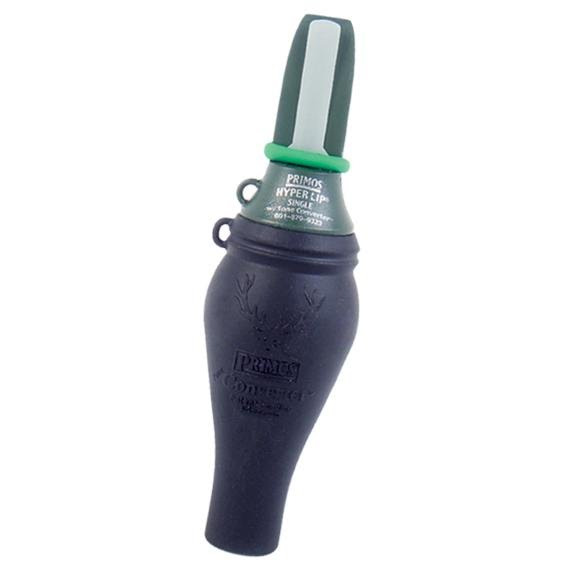 Removing the Tone Converter allows louder calling when locating or calling bulls from longer distances. The Hyper LIP Single with Tone Converter takes all the guesswork out of calling bulls up close.